BUILD offers a chance for students in low-income neighborhoods to get the same education as students in wealthier neighborhoods. That’s important, because in the areas where BUILD operates, students have a graduation rate of 60% or less. This bodes ill for a large sector of our future society because of the linkage between dropping out and unemployment, and the attendant pitfalls of substance abuse, homelessness, and crime, just for instance. Participation in BUILD’s 4-year program, on the other hand, means 95% of participants graduating on time, and what’s more, gaining acceptance to college. BUILD uses entrepreneurship as a hook to engage youth, but the real goal is getting those kids to go to college. We like BUILD’s style and of course, its achievements, and so we gave them a small grant. Kars4Kids: Build contends that the most critical number for a student wanting to attend college is not an IQ or an SAT score, but the student’s ZIP code. How do we know this is true, and what is the reason? Will Leitch: Where students live defines a number of quality of life indicators like health, education, food, and housing. Life expectancies between communities that are just a few miles from each other can differ as drastically as 20-30 years due to health and environmental disparities. Housing quality and instability also can affect students’ ability to focus and the continuity of the materials they are learning. Where a student lives defines access to affordable, nutritious food, as many low-income neighborhoods lack nearby grocery stores, farmers’ markets, or health food providers. School quality largely differs based on location and the household income of the families living in surrounding neighborhoods. These inequalities exist due to institutionalized biases that create barriers to social mobility for children and families. Each of these areas are critical to students’ cognitive, social-emotional development, and educational attainment which effects school and workforce readiness in the long term. Kars4Kids: Your organization works to provide equal access to education, in particular to underprivileged students who live in areas where the graduation rate is 60 percent or less. What are some of the ways that the education we serve up by way of the public education system, is unequal? Will Leitch: Communities continue to be segregated by race/ethnicity and class, which has resulted in a disparate quality of resources being available in different neighborhoods. Segregation has had a long-term impact on the education system. Students attending under-resourced schools are less likely to graduate with the necessary credits to be college-ready due to having fewer demanding college preparatory courses and more remedial courses. As a result, students may be ineligible to enroll in a 4-year institution immediately after graduating high school. Additionally, low-income students are more likely to have inexperienced or underqualified teachers and higher teacher turnover rates, which impacts the quality of the curriculum implementation and continuity of support provided to students. BUILD works to support schools by aligning its curriculum with Common Core standards and connecting students to community resources to supplement their learning. Kars4Kids: Build gives students a chance to be entrepreneurs. In what way does entrepreneurship motivate kids to complete their education? Will Leitch: Entrepreneurship is the medium through which BUILD delivers an experiential learning curriculum to redress barriers to quality education in low-income schools. BUILD uses entrepreneurship, college and career readiness activities, and mentorship to expose students to real-world examples of different paths they can take to achieve their goals. Our students launch real businesses that are fully operational: students manufacture and sell real products, manage profits in financial accounts, and learn how to respond to business consequences. Entrepreneurship empowers students to similarly take ownership of their education and career development. Kars4Kids: How do students find out about BUILD? What makes a student a worthy candidate for your program? Will Leitch: We host an informational session at the beginning of the ninth grade year and describe the BUILD program. We invite students to complete a very simple “interest” form if they want to learn more. The target BUILD student is one who is not engaged in school and is at risk of dropping out, based on test scores, attendance, and other measures. Students who are very low-performing, i.e. with GPAs less than 1.0, typically need more interventions than BUILD alone. Thus, our target students are those with GPAs between 1.0 and 2.5—not on track to be college eligible. Our partner schools’ teachers and administrators may identify some students whom they think would enjoy and benefit from BUILD and may ask them to consider it. We are able to enroll our target students because we only partner with under-resourced schools. We have found that BUILD works best when the classroom is a mix of students. The program relies on collaboration, and engaged or high performing students often exert positive peer pressure on other students. 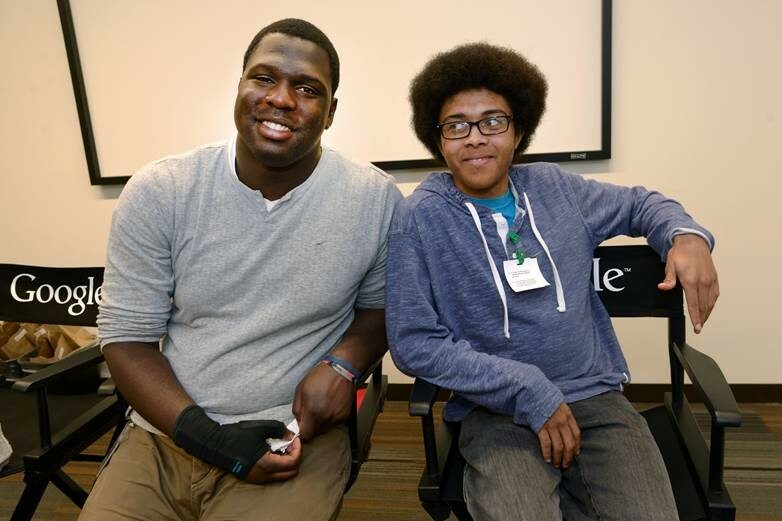 One recent example from Madison Park High in Roxbury is the case of Elvis and D’Ahmen, two ninth graders who enrolled in BUILD’s year-long Introduction to Entrepreneurship class. Elvis was a singular student in his class. He was mature, motivated, extroverted, and had a high GPA. Many of his classmates were disinterested in school and in BUILD at the start of the year, and most had GPAs lower than 2.0. Elvis was on a business team with D’Ahmen, who had poor attendance, low grades, and acted out in class. As the year progressed, D’Ahmen slowly but noticeably began to rise to Elvis’s level—being focused and serious about the work of launching a business. At the year-end BUILDFest Pitch Challenge, D’Ahmen and Elvis were the stars, and won the competition, along with a $2,000 cash prize. The team’s mentor, Jeff Arnold, attributes D’Ahmen’s turnaround with being on a team with Elvis. Will Leitch: BUILD has 6 Spark Skills that are a set of 21st Century Skills that research has shown drive high school, college, and career success: Communication, Collaboration, Problem Solving, Innovation, Grit, and Self-Management. These skills are also central to social-emotional development for students, which supports self-expression, physical health and well-being, and building cooperative relationships with others. BUILD’s most recent annual student evaluation found that over 92% of our students agreed that BUILD helped them cultivate all 6 Spark Skills and a growth mindset to support ongoing learning. Kars4Kids: You have teams of 3-6 kids working on business projects and meeting with 2 business mentors weekly. How do you figure out how to match up the students? Is it all random? How do you match the students with the appropriate business mentors? Will Leitch: We recruit mentors from the business community and especially from corporations and companies that support BUILD in other ways, such as with funding and student-training opportunities. Because BUILD’s program takes place in the schools, the locations and times of the mentor sessions vary. This is the first factor that determines the match: mentors select the location and time that works best for their schedules. Over the years, we have found that we really do not have to make “matches.” The mentors are committed and caring, and the students—eventually—grow to really appreciate and even love their mentors. Although mentors only have to commit for one school year, many mentor-student relationships persist throughout high school, and even beyond! BUILD mentors are college graduates and working professionals with diverse academic and professional backgrounds in business, education, law, technology, and more. They serve as real-life examples for BUILD students of how a college degree unlocks career and economic opportunities. Mentors meet with students to provide support in the college application process, set academic and career goals, and may connect students to job shadowing or internship opportunities. Kars4Kids: Do any of your program graduates stay in touch with your organization or their mentors? Do any of them work for Build? Will Leitch: One of the most valuable things that BUILD instills in students is the importance of relationships and social networks. Alumni continue to connect with BUILD through social media platforms and some continue maintaining the connection with their mentors over the years. 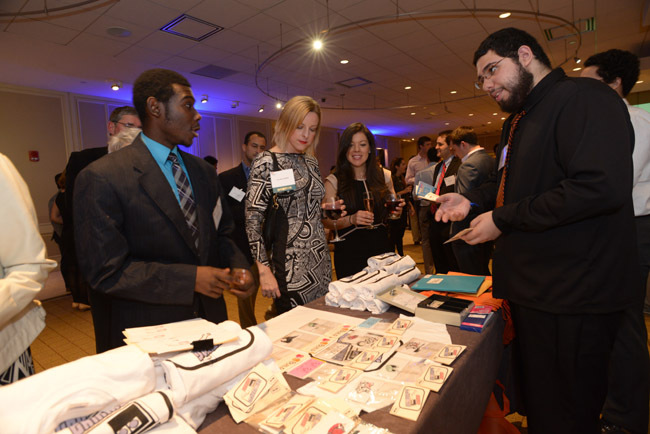 During our annual pitch competitions, holiday parties, and organizational events, we often invite alumni to attend and share their experiences with the next generation of student entrepreneurs. BUILD has staff who were first-generation students and represent demographics that are underrepresented in higher education to ensure that BUILD reflects the youth we work to support. One example of a long-lasting mentoring relationship is our Honoree at our 20th Anniversary Gala this March, Katrina Lake, Founder and CEO of Stitch Fix. She was a BUILD mentor more than 10 years ago, and is still in contact with her students—who are in their mid-20s now. Several BUILD alumni have gone on to work for BUILD. Kars4Kids: Build operates in five different urban centers. Is there a difference in the types of business ideas that kids come up with from region to region? Will Leitch: There are more similarities than differences across business ideas from region to region. 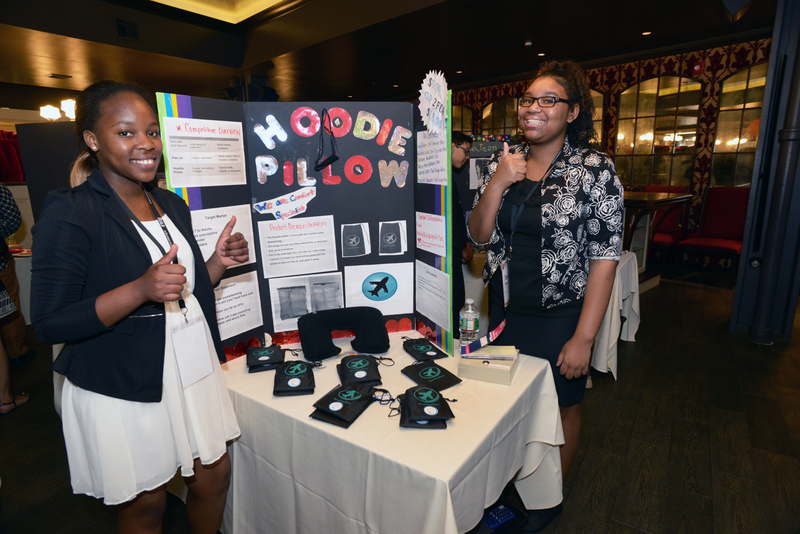 Common business ideas include customizable products like phone cases, pillows, or deserts. Others include shoe cleaning solutions, bath products, and accessories. There seem to be some trends from year to year across regions, but no real differences from region to region in the same year. Kars4Kids: How do the kids come up with their business ideas? What are some of the business successes that have come out of your work with Build participants? Will Leitch: The BUILD curriculum has a fairly long and detailed ideation phase, where students learn to think creatively and to generate ideas. One lesson has them look at several existing products and come up with ways they might be improved. Another lesson has them think of problems they would like to see solved. BUILD staff and mentors help provide guidance on what is feasible with limited funds, time and other resources, for cases where students have great ideas but which they would not be able to execute. One of the most valuable distinctions of the BUILD program is that it is one of the few instances in their education where what the students want and think is what matters. This is an active-learning and problem-based program, where students’ voices, preferences, and ideas are the sparks for all that will follow during the program. 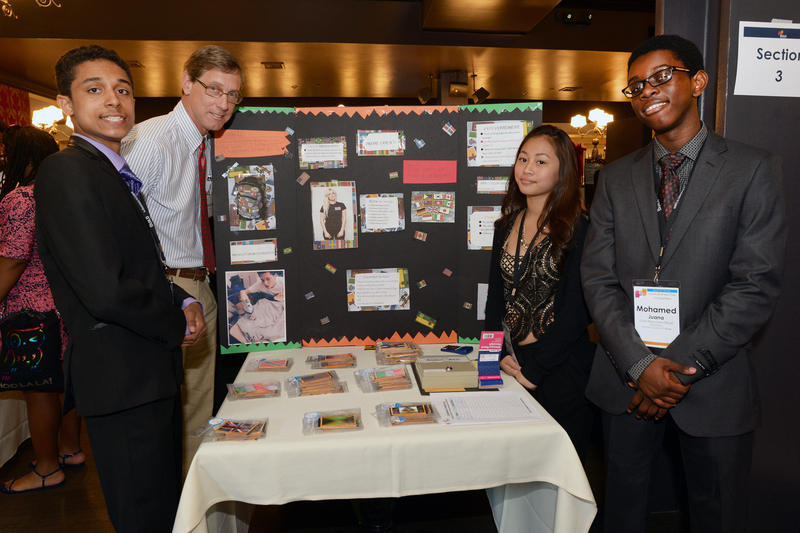 Students have successfully launched 750 businesses and sold their products. BUILD students are very creative and inspired by their own experiences and some ideas they’re introduced to from the curriculum. We have workshops and seminars led by consultants for students that provide instruction on leadership training, website design, business finance, among other topics to equip students with the expertise to transform ideas into real businesses. A few recent examples of successful businesses include: ReJean, an all-girls clothing company that turns used denim clothing into clutches and bags, and then decorates them with beads and other designs; a candle company that makes multi-layered and scented candles; a company that makes an all-natural lip balm; a water bottle that also charges your cell phone, and –the highest grossing BUILD team ever, with more than $70,000 in sales—Cookie Boss, a student business that customizes cookies with logos or photos. They have made many big sales to organizations, including Bank of America, The Boston Red Sox, Google, and others. Kars4Kids: What’s next for Build? Will Leitch: Last year, BUILD launched a Licensed Partnership program, so that our proven curriculum can reach more students across the country, and even internationally. This will allow us to impact even small communities, where it would not be fiscally feasible to run a fully staffed program. Now in its second year, the program is in three new communities, with plans underway to add 8-10 more within the next year. 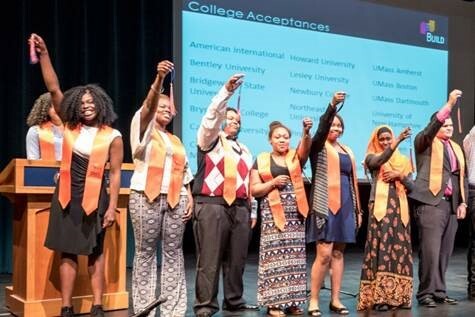 We recently launched an Early College Program in Boston, by partnering with a community college. In this program, high school students can earn up to 30 college credits, at no cost, while still in high school. Now in its third year, the program has served 300 students. We have plans to replicate this program in more schools and in other BUILD cities. BUILD is launching a Social Entrepreneurship and Civic Engagement track within its curriculum so students can actively analyze and propose business solutions to issues in their neighborhoods. We are actively seeking ways to leverage partnerships with businesses represented on our boards to have engaging conversations about fostering more diverse and inclusive workplaces. Ultimately, BUILD serves as a bridge across communities as it connects low-income students with mentors and professionals in sectors where people of color are underrepresented. By fostering more intentional connections between the work we do and its role in workforce development, BUILD hopes to shift the narrative around the importance of investing in under-resourced schools. Lastly, we are adding more technology to our program, with app coding, 3D printing, and other technology that will excite students and better prepare them for careers, as well as create more options for their student businesses.